This led to a fascinating and nuanced debate on Twitter yesterday involving numerous historians, including Dr Estelle Paranque, whose comments led to the media reports, Alex von Tunzelmann, a historian and screenwriter of historical drama, and Greg Jenner, a historian and consultant to TV and film. Other historians involved in the debate included Rebecca Rideal, author of a superb book on 1666, Professor David Andress, a specialist in the history of revolution, and Dr Sean Lang, historian of the British Empire. So where should historical fiction draw the line between historical accuracy and drama? Is it ever justified for historical fiction to depart from the facts, as well as they are known? (First of all, to define ‘accuracy’ for the sake of this blogpost – I mean broad adherence to the currently accepted facts of events and the lives of historical figures etc. Obviously interpretations change, new evidence can and does come to light, and there will be more debate about some people and events than others, but generally speaking it should be possible to establish what is generally thought to have been taken place). I should have several dogs in this fight. Or I would, if it was a fight, and didn’t love dogs. I write historical fiction and non-fiction, and frankly I’d love to be involved in a broadcast or screen historical drama. I’ve also worked in the media, so have an idea of why this has been portrayed as a spat when it really isn’t. This is not to say that there aren’t some very passionate views and a lot of disagreement. But there seems to me to be nothing ill-tempered about the way historians and writers/directors/consultants engage in this debate – indeed, often the same people are on both ‘sides’ of that equation, and there isn’t a divide between them along professional lines. This is what makes it so interesting. 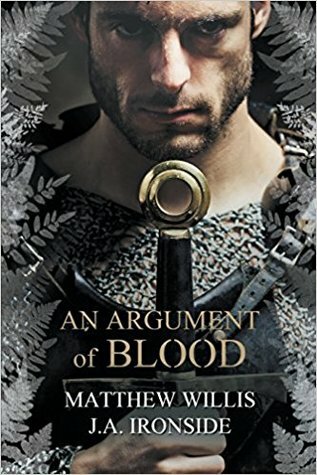 Nor is the issue of historical accuracy an academic one – since I started writing historical fiction in earnest seven or eight years ago, I’ve been surprised by the attitude of many enthusiasts of history (particularly military history) who refuse to touch historical fiction, even in the areas that most interest them. They tend to see historical fiction as at best pointless, when there are ‘true stories’ to read about, and at worst invidious and misleading, even deliberately so. Any departure from the known facts is tantamount to treason. Others are bewildered by the issue. ‘It’s a film… not a documentary’ shrugged one tweeter. The crux of the Mary Queen of Scots question is that the film portrays a meeting between the two monarchs which never happened. Not only did it not happen, but it is widely and well known not to have happened (I recall learning this particular snippet at primary school). Although the film is named for Mary, the trailer and pre-release publicity pitches this as a head-to-head between the two queens, sometimes setting themselves against each other and sometimes against the assembled men who think they know best. They are portrayed as initially friendly, before becoming bitter rivals and enemies. The Twitter debate was kicked off, appropriately enough, by historian and histfic writer Kate Williams who asked other historians what they thought of the issue in the light of the media reports around it. I’ve enjoyed following this conversation. In my view, historical fiction is always fiction and should be judged as that. The same way we might judge a crime drama, for e.g…. BBC’s Sherlock Holmes is nonsensical in terms of policing accuracy, but it is still good drama. I mean anyone can decide that any one of those four things, or anything else, is as far as they’re willing to go in considering something “historical fiction” vs something else that might be “alternate history”, or “historical fantasy”, for example…. I challenge anyone to write historical fiction with no fictional characters whatsoever. And historical fiction should have fictional characters in order to create imagination and develop representations of the past. I agree. I’m writing a novel and my fictional characters will help me have this artistic freedom without compromising historical events..
Btw I think you could totally do this in a novel: it’s just extremely hard to achieve, & probably impossible, onscreen. Which is why I think (if I remember correctly from those I’ve seen) pretty much all Mary & Elizabeth films put in a meeting. They dramatise the letters. But the letters said: “why aren’t you seeing me? Why are you refusing an audience? If you don’t see me this will lead to my downfall” more or less… so they rewrite history…. they just do… sorry I can’t let go of that. I don’t mean to be a pain! What about at the end of the movie having an interview of the film maker and his reasons behind his choices and of historians which explain the history behind the fiction? I am hugely in favour of that – also of commentaries you can play over the film etc. Unfortunately, as @greg_jenner & I have often bemoaned, it’s hard to get anyone to fund or screen such documentaries. His & @KateWilliamsme’s Versailles shows are a great example. And a huge shame, as well. I’m sure many historical dramas lead to a big audience that wants to know more about the (‘real’) history. Definitely. A lot of historians moaned about The Tudors when it was on TV (often unfairly, I think, but that’s another conversation!). Yet sales of history books on the Tudors boomed. Hist fic/film/TV often sparks people’s interest & inspires them to seek out the real story. This raised an interesting point for me. Might there almost be a benefit in inaccurate depictions in that they generate controversy and therefore a space for the ‘real’ history to be publicly discussed and become better known? I would hesitate to advocate this approach – I still believe that accuracy where possible is desirable (and that audiences will accept far greater accuracy than they are often given credit for). As an aside, one of the more extreme examples of The Tudors stretching historical fact was in the character of Margaret Tudor – the series created an amalgam of Henry VIII’s older sister Margaret, and his younger sister Mary. The show had the fictional Margaret marry the King of Portugal (which neither the real Mary nor the real Margaret did) who dies shortly afterwards, whereupon she marries Charles Brandon (as the real Mary did, after the death of her husband, the King of France). This version completely excises the marriage of a sister of Henry to the King of Scotland (as the real life Margaret did), meaning that in The Tudors universe, Mary, Queen of Scots would never have existed! I moaned about that show and co-wrote with Carole Levin a chapter on this. Don’t you think it would have sparked the same interest if it had been more accurate? Nope, more accurate = lower ratings. Every time. The suggestion of accuracy being addressed outside the fictional representation itself (perhaps to give greater freedom to those creating it) was raised by social historian, Emma Muscat. Emma was acquainted with the director of Mary Queen of Scots, Josie Rourke, as she had been an Archivist at The Bush Theatre during Josie’s Artistic Directorship. This branch of the discussion also highlighted the additional pressures that creators may be under – unlike most novels, films and TV dramas are created by numerous people who will have competing interests. Allowing each a space to set out why they made the decisions they did with regard to accuracy. Apart from a few die-hards, I suspect most people would accept that adherence to the facts has to be relaxed on occasion, not just to enable the story to be better told, but to make it accessible to, and enjoyable by, a wider audience. If changing a few details is the difference between getting well-made historical film and TV, then I think most enthusiasts and historians would regard that as a price well worth paying. giving the director, herself, a chance to explain the reasoning behind the choices made on this production. I think you might find her reasons, as for many film/tv directors, go way, way beyond just the historical facts. That is my two penny’s worth of comment. Absolutely agree. I think we are arguing only on general principles: as far as I know, none of us has yet seen her film. She is an incredibly talented director & I’m hugely looking forward to it. Josie is and I can vouch for her personally having spent two years at The Bush Theatre as Archivist under the ADShip. Josie is not some who takes creative decisions lightly. Let’s wait for the film and then open the discussion up then, with room for the Director to contribute. Impossible to say without inside knowledge of the production. Generally, in film, the director is seen as dominant, but Beau Willimon is a very famous writer so he may have had more sway than is usual. Some decisions may be driven by producers, financers & editors, among others. Thank you! I find this fascinating! Because it could potentially mean that she disagreed on some decisions? I’m just saying potentially here. With so many people involved with different perceptions etc. Like I say, impossible to know. Film is a collaborative medium &, because it demands high levels of financial investment, usually has to please a lot of producers/executives too. It’s common to have 10-20 different people who can give notes on a script, & it can be 50! Yup. I’m currently on a low budget film project where I am the only historian – my suggestions have to convince three producers, one screenwriter, two financiers, two separate distributors, and then production will decide if the notes are too expensive to film. I lose a lot. yup, and the location you are using burns down. And the costumes you planned to hire have been bulk-taken by a Spielberg film. And you lose your lead actor to another project the week before filming. These have all happened to me. The central issue for me is that the ‘currency’ history and fiction trade in are different. To make a horribly broad generalisation, history deals in fact, fiction, in truth. History cannot invent, even in order to serve truth. What in fiction may be considered licence would in history be fraud. Evelyn Beatrice Hall invented the quotation “I disapprove of what you say, but I will defend to the death your right to say it” and attributed it to Voltaire in her biography of the philosopher, then compounded the invention by indicating that it was based on a comment in a letter that contained no such assertion. She clearly firmly believed that this was Voltaire’s position on freedom of expression, but in presenting the quotation as Voltaire’s words, she seriously damaged the credibility of her work. Historical fiction can do this, precisely because as Rebecca Rideal pointed out, fiction should ultimately be judged as fiction however closely to the historical record it may stick. Furthermore, fiction can go further in evoking the history through imagination. It may not be totally accurate, but it may be close to authentic. There are limits, and a corollary, to this. History has been appropriated for political purposes and historical fiction is an obvious vehicle for this, especially if it lays claim to truth that cannot be reached by the academic interpretation of history. The film Braveheart, for example, presented itself as ‘true’ (if not ‘factual’) while largely drawing from a 16th century hagiographical epic that presented William Wallace as an idealised chivalric hero and the English as caricatured villains. The naturalistic presentation of the film, however, implied that it was at least broadly based on fact – and the opening narration of the film makes a claim to authenticity greater than that of recorded history – “Historians from England will call me a liar, but history is written by men who hang heroes”. Efforts were made afterwards to tie in the film’s version of events, egregiously inaccurate though they were, with real history. A 12-ton statue of Mel Gibson as Wallace was placed near the Wallace memorial. The film was attributed with sparking a new wave of Scottish nationalistic feeling, described by author Lin Anderson as having “become part of the fabric of Scotland. There was anger that people didn’t know who William Wallace was, and had been cheated of their history.” Many historians would argue they still are. It would be not unlike presenting John Boorman’s Excalibur as a broadly accurate narrative of 6th Century England. Mary Queen of Scots has not been released yet, and cannot therefore be assessed for its overall accuracy, its intent or its contribution to the understanding of history. There are other issues than just the meeting – Mary speaking with a Scottish accent, for example, when she would have spoken English with a French accent having lived in France from the age of 5 to 18. The two queens were never friends, as the trailer suggests, but rivals from the beginning. On the other hand, the script is known to be based on the work of Tudor historian John Guy. My own take on the broad issue is that it comes down to good faith. Historical fiction owes history, because it has taken something from it. Its creators must be aware of that and respectful towards it. If the creator of fiction (in whatever role) approaches the subject matter – people, events and places, ideas and views, experiences etc – with good faith, their work will be helping the historical debate, paying it back, not hindering or cheating it. If, on the other hand, they approach the subject with an agenda that has nothing to do with the history, or as simple raw material to be mined when it suits them, then they do history a disservice.